She'll graduate with an engineering degree from Case Western Reserve University in just a few weeks, but her passion is showing girls that being feminine and successful in a male-dominated career is not only attainable - it's cool. 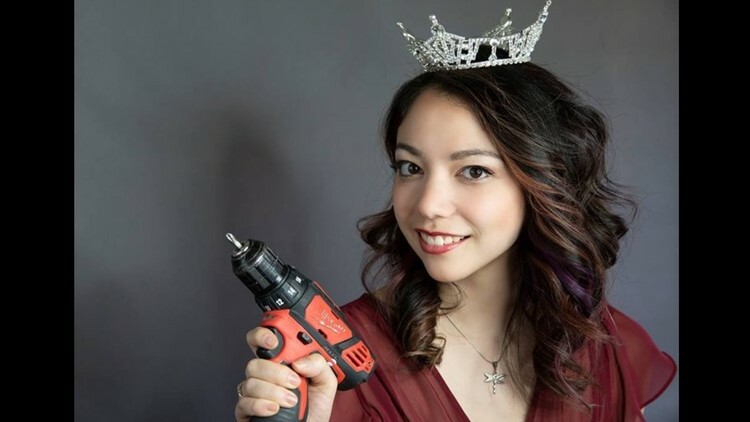 Foxlin, the 2018 Miss Greater Cleveland winner, created Beauty and the Bolt, a 501-c(3) non-profit with a vision to change the face STEM careers. Through YouTube videos and a host of projects and resources, Beauty and the Bolt hopes to reduce barriers and support students and encourage a love for engineering, making and creation. STEMbassadors, a part of our multi-year, multi-platform initiative called Growing Curiosity | Girls in STEM, is a weekly segment featured Friday at 7PM on WKYC that highlights women and girls doing great things in Science, Technology, Engineering and Math (STEM).